Celebrate the two year anniversary of Fruit Ninja in style with the greatest update we’ve ever released! Available May 24th 2012! The world fruit slicing phenomenon is about to get a whole lot juicier with a range of new features and awesome characters to ramp up the excitement. Prepare to fall in love with your favorite game all over again and check out the full list of brand new features below! Worth its weight in gold… but way more juicy! This delectable delight has long been the currency of ninjas the world over. Just try not to eat your profits! Use Starfruit to boost your arsenal with exhilarating power-ups and never before seen super fruit! 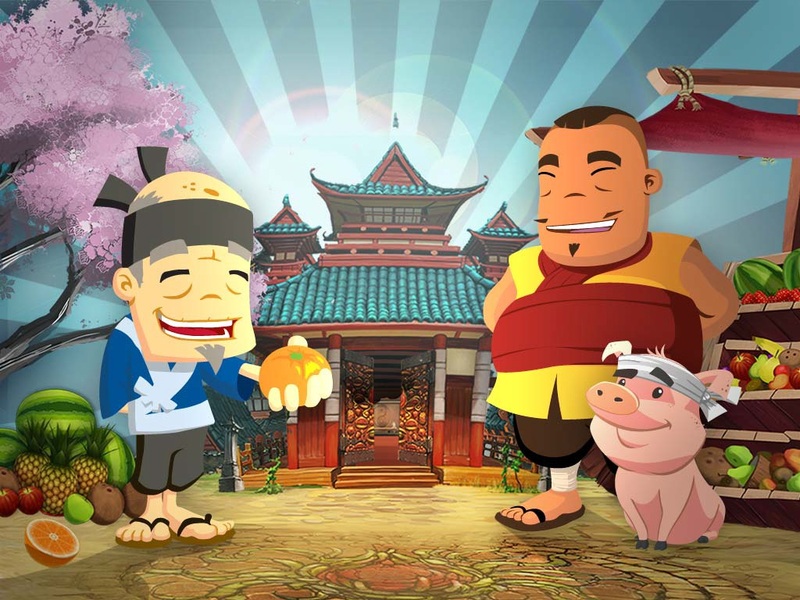 Our travelling merchant Gutsu and his porky pal Truffles will ensure you always get the best deal possible. Swat those pesky bombs into oblivion with this skilful new ninja move and watch your high scores rise! Prepare for things to get messy with this highly explosive new super fruit! These succulent peaches add extra time to Arcade and Zen Mode for longer games and seriously high scores. Push yourself to the limit as you battle to keep the clock ticking! A huge thanks to our amazing fans for your continued support over the last two years! It’s been an incredible journey and we couldn’t have done it without you. We’re just getting started and we can’t wait to bring you even more new content in the not too distant future. Welcome Gutsu and Truffles and stay juicy!